Did you know that the destruction of Earth’s mangrove forests is happening up to four times faster than land-based one? Almost half of the world’s mangroves being lost in the last 50 years alone - according to a study commissioned by the United Nations Environmental Programme (UNEP). 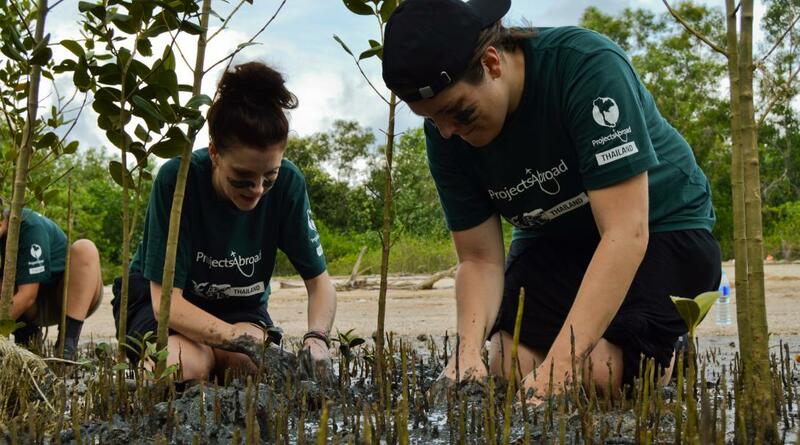 To combat this growing problem, we have set up volunteer mangrove Conservation Projects overseas. While it is true that mangroves can be naturally damaged and destroyed, there is no doubt that human impact has been the most severe. In this blog, you'll read more about why mangroves are important and why you should protect them. To start with, what are mangroves? If you've ever visited a tropical or sub-tropical coastline around the equator, you've probably noticed some peculiar-looking shrubs or small trees rise out of a tangle of roots from the mud. These are mangroves. Mangroves link the land, the terrestrial habitat, to the sea, the marine environment. Submerged in water, they prosper in hot, muddy, and very salty conditions that would otherwise kill most plants. Mangroves manage to grow and survive in this challenging habitat through a series of impressive adaptations. For example, they have a filtration system that keeps out much of the salt, and a complex root structure that holds the plant upright in the shifting sediments where land and water meet. Because of that, they are able to thrive despite flooding by ocean tides. Why should we conserve mangroves? For decades, people largely overlooked the value of mangroves around the world. Historically, swamps were cleared as they were thought to contain and spread diseases like malaria (actually due to mosquitoes), and they were believed to house other dangerous creatures. Forests were also cleared to widen navigation channels and provide greater access to inland locations. What these people didn’t know, is that mangroves help protect the coastline and prevent erosion caused by extreme weather. Since they grow in areas that are often plagued by hurricanes, their root system is crucial to prevent coastlines from disintegrating during tropical storms. They also prevent erosion. Besides that, mangroves act like kidneys. They purify the ocean and filter the water for marine life, like corals and seagrass. These seagrass, in turn, feed species like turtles. Mangroves manage to support an incredible diversity of creatures — including some species unique to mangrove forests. They act like nurseries for fish and coral. Last but not least, these incredible ecosystems are essential in the fight against climate change, since they are far more efficient at storing carbon dioxide, and therefore greater at offsetting carbon emissions than other forests. On top of that, they remain resilient in the face of increasing ocean temperatures. How do we protect mangroves globally? You can probably begin to see why these plants form such an important part of the planet’s ecosystem, and why we have such a strong focus on reforestation and mangrove conservation abroad. Connecting to the environment and protecting it is of critical importance. We must take action before it is too late. With the UN Sustainable Development Goals in mind, our Conservation Projects in Mexico, Thailand and Fiji aim to protect marine life through our mangrove conservation and reforestation work. 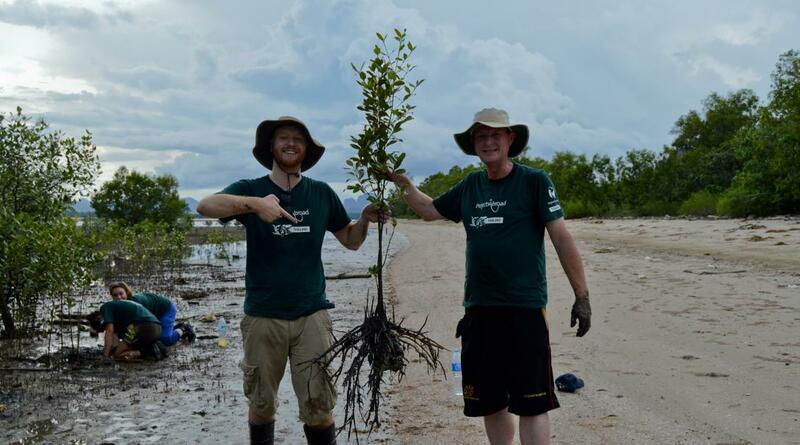 Here, volunteers take part in mangrove reforestation work, helping to grow seedlings in nurseries, planting them in specified areas to grow, and sometimes transplanting them - when they are big enough - to areas where they can spread their roots more effectively. In 2018 alone, we planted more than 37,600 mangroves around the world. Volunteers also monitor and collect data on the state of nearby mangrove forests, helping grow mangrove seedlings in a greenhouse, and reforesting areas where the forest has been damaged or removed. In Fiji, specifically, all of the mangrove seedlings are planted in one of our three nurseries. We also partnered with Uprising Beach Resort to support them in their mission to become the first carbon-neutral resort in all of Fiji. As part of this mangrove reforestation work in Fiji, volunteers calculate the carbon footprint of their return flight to Fiji and work with the ‘Mangroves for Fiji’ project to produce and plant enough mangroves to offset the carbon impact of their volunteering journey. 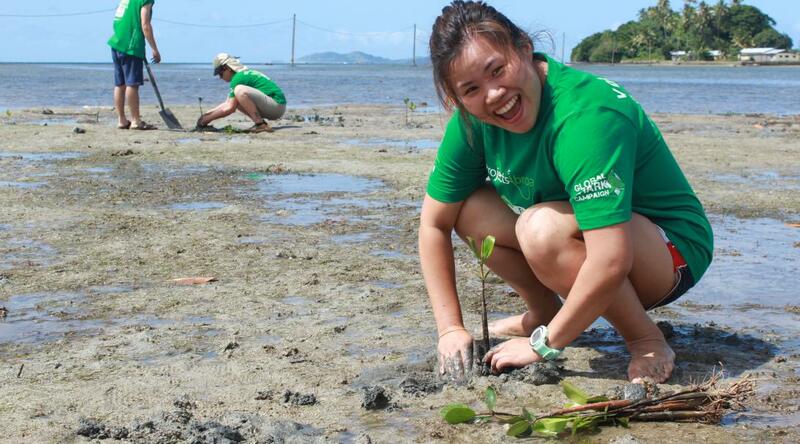 To date, over 15 acres of mangroves have been planted by our volunteers in Fiji since the project’s inception in 2014. We are proud to announce that Fiji Uprising resort was deemed fully carbon neutral in 2018, due to the sheer amount of mangroves we planted! 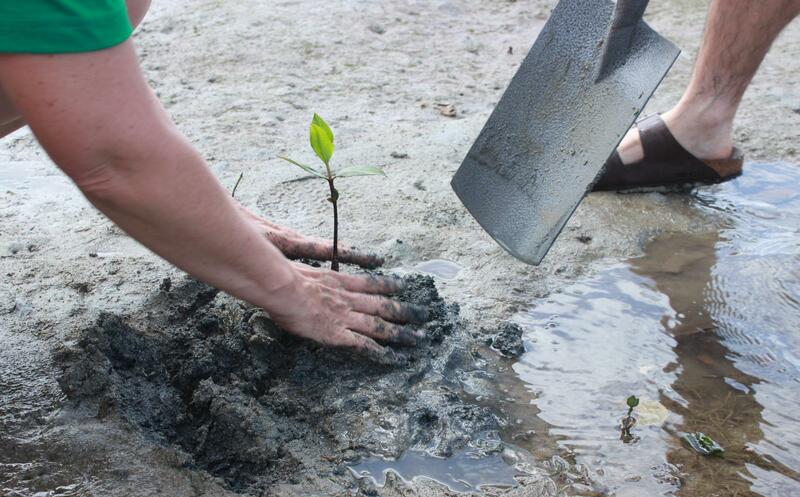 How can you take care of mangroves? Projects Abroad and our local partners in Fiji, Thailand and Mexico are working towards the same objectives. With our mangrove reforestation work, we aim to see faster seedling growth, improved plant survival rates, and see more diverse and buoyant mangrove forests come to fruition. However, before this can be achieved, we need manpower. Volunteers form a vital part in this process, and we invite you to join us and contribute to our mangrove initiatives that supports both the marine environment and the people that surround it.